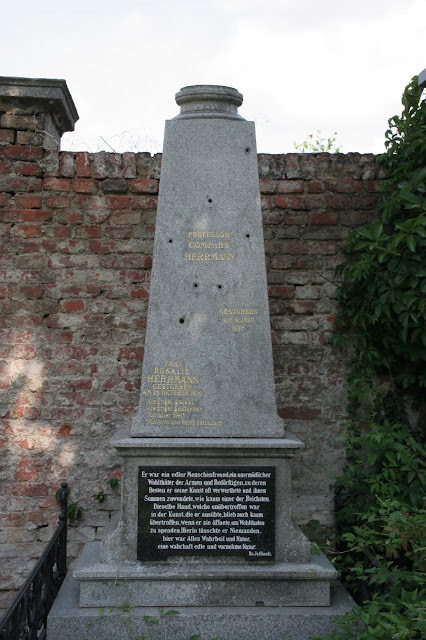 I received the quite the surprise in my email today from Heinz König who found and photographed the grave of Compars Herrmann. I had a photo from the Sphinx magazine which showed the grave and location but now we have a full color image of what the grave site looks like today. Some of the decorative metal work is missing, and the names have been painted in with gold leaf recently. So I assume that there are repairs going on. Actually, if I'm not mistaken, Magic Christian was working to get the grave of Compars Herrmann repaired, so perhaps we are seeing the grave in transition. It does appear that the top of the structure is missing. There was a marble piece at the top in the shape of an urn or vase. 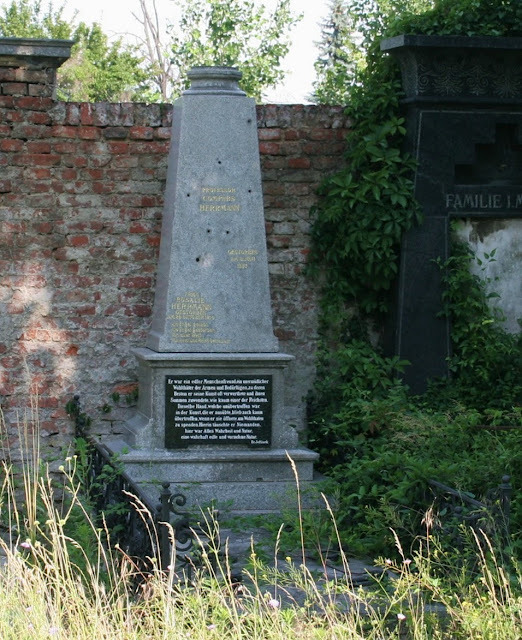 Also buried in this cemetery are fellow magicians Johann Hofzinser and Kratky Bashik.